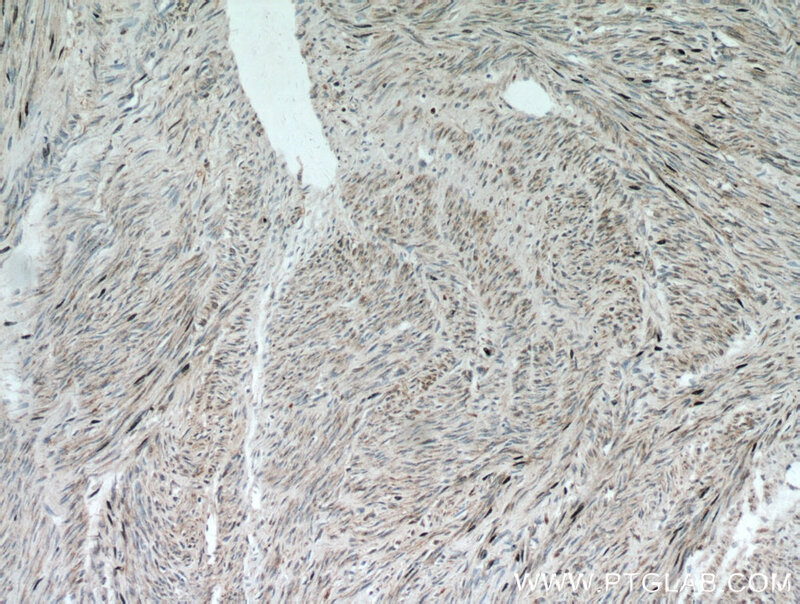 Immunohistochemistry of paraffin-embedded human skeletal muscle tissue slide using 17521-1-AP( ACTA1-Specific Antibody) at dilution of 1:500 (under 10x lens). 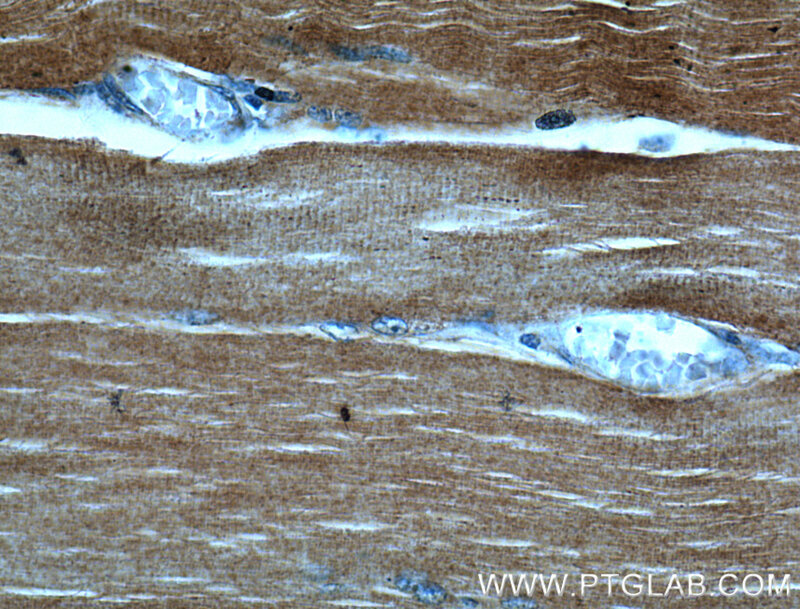 Immunohistochemistry of paraffin-embedded human skeletal muscle tissue slide using 17521-1-AP( ACTA1-Specific Antibody) at dilution of 1:500 (under 40x lens). Actins are highly conserved proteins that are involved in various types of cell motility and are ubiquitously expressed in all eukaryotic cells. 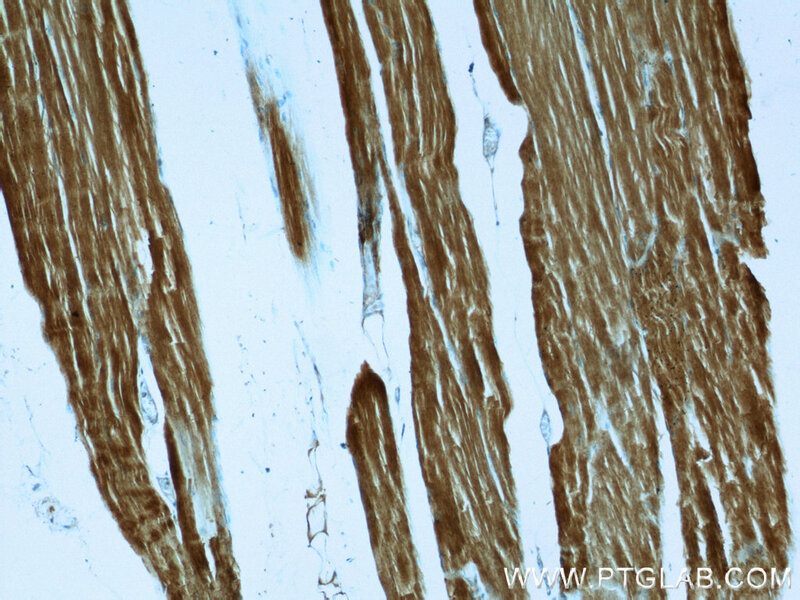 The ACTA1 gene encodes skeletal muscle alpha-actin, the principal actin isoform in adult skeletal muscle, which interacts with a variety of proteins to produce the force for muscle contraction. 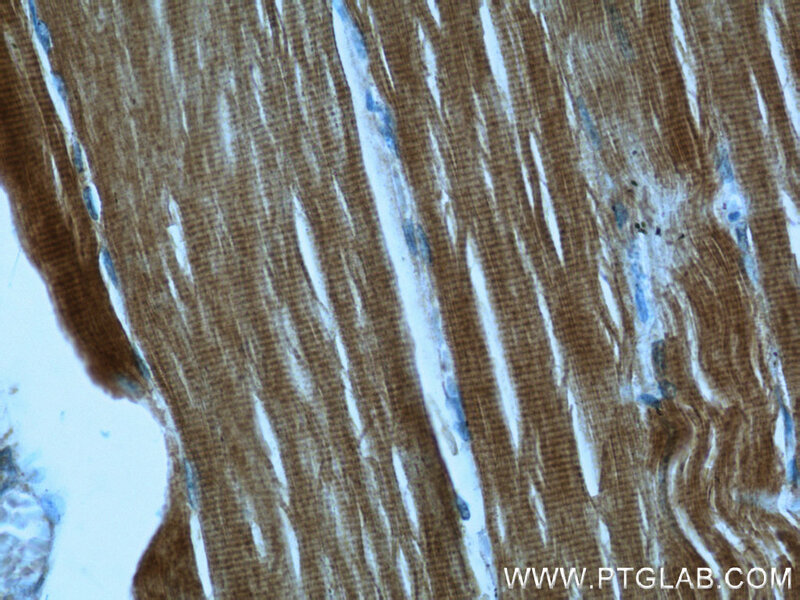 There is only the N-termninal 8 amino acids difference among the actin family members. 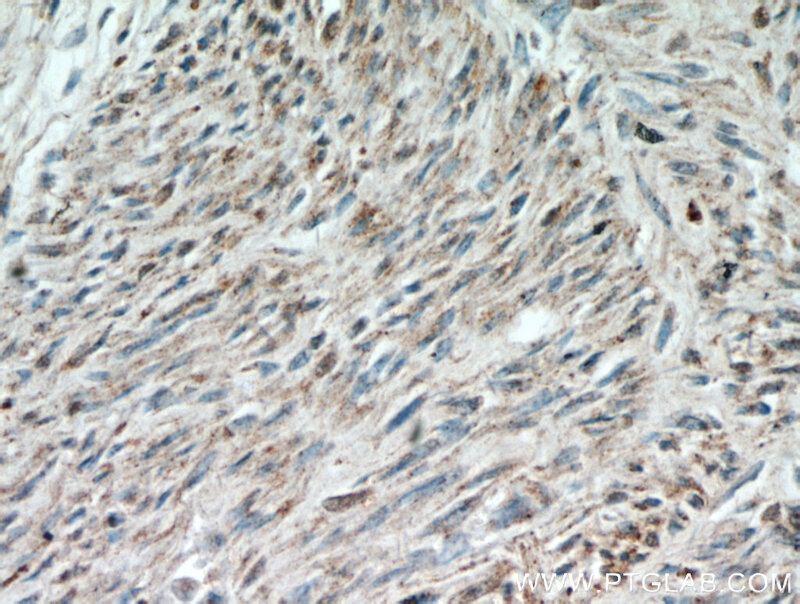 This antibody is specific to the ACTA1. 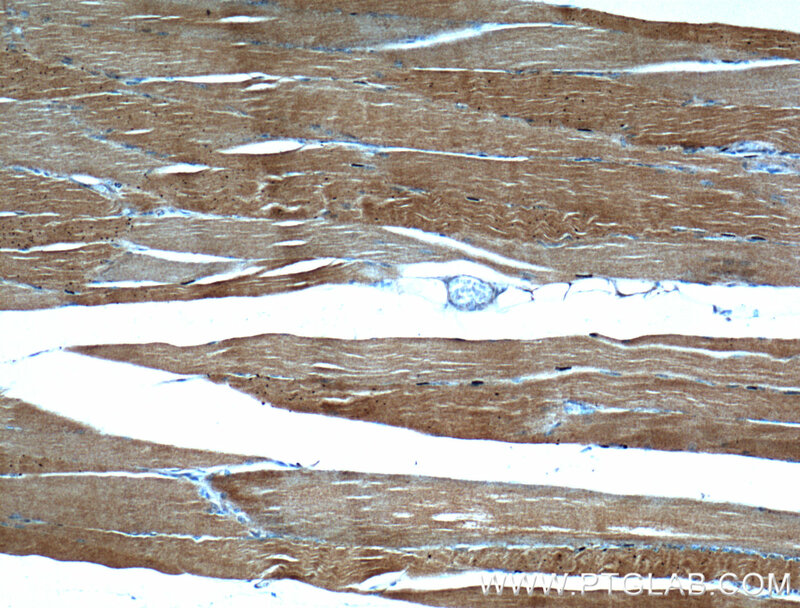 It does not cross-react with other actin isoforms.